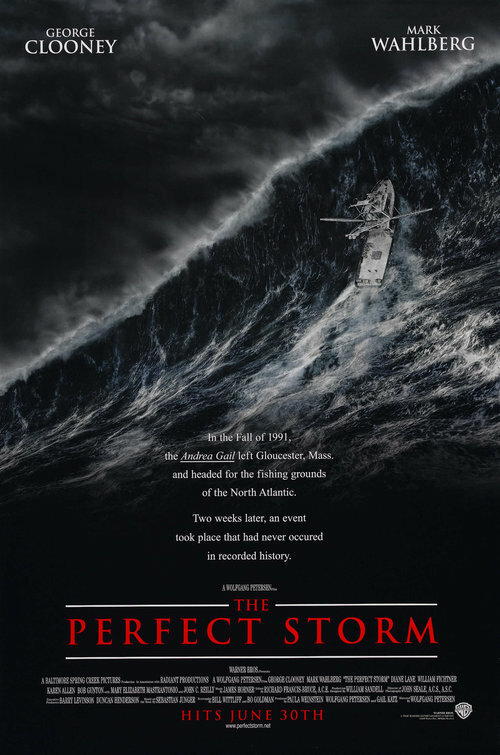 tagline: "In the Fall of 1991, the Andrea Gail left Gloucester, Mass. and headed for the fishing grounds of the North Atlantic. Two weeks later, an event took place that had never occured in recorded history."